« Ignorance based Electro-physiology : Why chronic RBBB is a benign entity ? 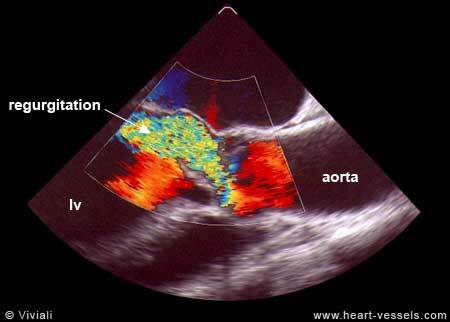 Where is the run off in Aortic regurgitation ? Is it central or peripheral ? We know aortic regurgitation causes a deluge of hugely popular peripheral signs of aortic run off , which are taught right from 2nd year medical school. When the aorta leaks it reflects in the entire vascular tree .How is that a leak in the remote aortic valve cause a quincke’s to and fro pulsations in the finger pulp ? Is the blood in the finger trying to follow the regurgitant jet that go back into left ventricle ? Does the to and fro murmur of Duroziez over the femoral artery imply there is reversal of blood flow in femoral artery ? It is true the initiating event of collapsing pulse is the regurgitant jet , however the mechanism that amplifies and sustains it , lies in the altered peripheral hemodynamics. The systemic arteriolar resistance is dramatically low in chronic severe AR by a reflex phenomenon , as cardiac out put is increased and vascular tree adopt to it. So, with each beat when blood is ejected two things happen in diastole .While a small fraction runs back into LV , the rest of blood runs off , as if it goes in a free way making all peripheral pulses dynamic , bounding and collapsible. Hence as the name suggest all the peripheral signs of AR are due to the peripheral mechanisms rather than primary event of aortic run off into left ventricle. Why carotid pulse does not show the collapsible nature of pulse in AR ? What is the hemo-dynamic correlates of descending aortic flow reversal in severe AR ? Why peripheral signs are absent in acute AR ? Acute AR even if it’s significant does not cause a collapsing pulse because it takes time for the peripheral vascular tree to go for vasodilatory mode.Further ,LV is also less compliant keeping the LVEDP high and regurgitant fraction low. Answering the title question ,the mechanism of Aortic run off in AR is both central and peripheral. However clinical signs are largely due to high cardiac out put and the resultant adaptive response of the vascular tree due to low systemic vascular resistance triggered by reflex dilatation of small arterioles of the peripheral vascular bed.